So many questions for E. Michael Helms, author of two novels and several nonfiction works! I sent out word I was willing to read and offer reviews of mysteries, and he was one of the writers who responded. I confess I’d started another book by a different author, one that was not well written, so I put off beginning Michael’s “Deadly Catch.” But once I started downstream with Mac McClellan, the main character, I was hooked (you can find my full reviews at Goodreads and on Amazon). I’m so pleased he’s agreed to an interview with ellenbooks so we can all learn from this very accomplished writer. Michael, please tell us which came first, the series idea for Mac, or the story for “Deadly Catch”? The story for “Deadly Catch” came first. I had toyed with the idea of writing a mystery for some time. I knew I wanted the locale to be the Florida panhandle coast (where I grew up). I didn’t know if it would be a standalone or series. All I knew for sure was the opening line: The first cast of the day turned my dream vacation into a nightmare. That sentence kept running through my mind like a dripping faucet, and it was the seed for “Deadly Catch.” I had no idea who the protagonist might be, no plot to speak of, nothing except that opening sentence. So, I sat down at the computer one morning and wrote it down. Within a few minutes I knew the protagonist was a recently retired/divorced Marine named Mac McClellan. He was enjoying a fishing vacation while pondering what to do with his post-Corps life. Soon, Mac and the other characters came to life and started telling me where the story was going. How does “Deadly Catch” fit in with your other books? Is it similar, very different? All the “Mac” mysteries have different plotlines. In “Deadly Catch” Mac hooks the decomposing body of a young woman which puts events in motion. 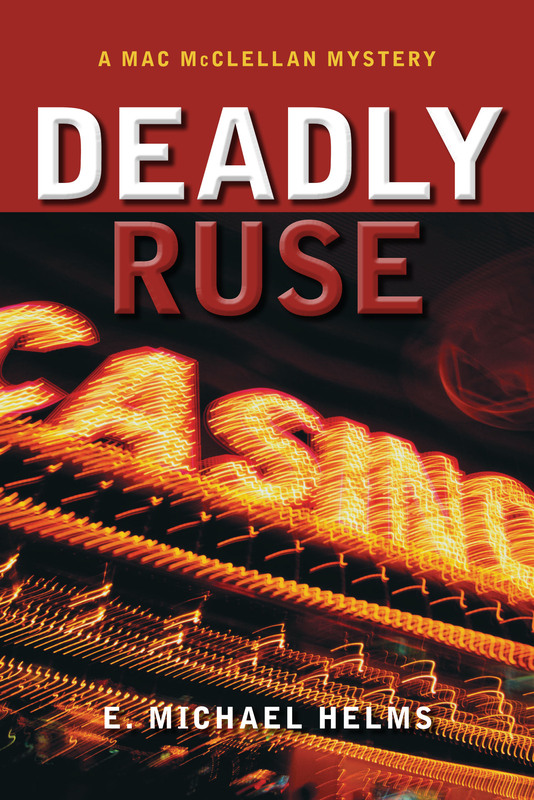 In the second Mac mystery, “Deadly Ruse,” Mac’s girlfriend, Kate Bell, recognizes an old boyfriend in a theater lobby. The problem is, this boyfriend supposedly died in a boating accident several years before. Did he die, or not? That question gets things rolling along. What’s interesting to me is to see Mac, Kate, and a few other regular characters develop and grow from one book to the next. I’ve completed four books in the series so far (two published), and keeping the characters real, I feel, is an important aspect for both reader and writer. Did you publish shorter works — articles, short stories, essays, for example — before plunging into novel writing? Could you give us an idea of your trajectory as a published author? I used to freelance articles to area and national publications. I’ve written several short stories (a few published), and used to edit a couple of area tabloid newspapers (military/veterans and Christian). My first full-length published book, “The Proud Bastards,” is a memoir of my combat experiences with the Marines during Vietnam. I pitched a portion to the editor of a New York magazine I’d written for, “Vietnam Combat.” He liked it and said he wanted to see the entire work when finished. Acting as my first agent, he quickly sold it to Kensington/Zebra. After more than twenty years it remains in print, currently with Simon & Schuster/Pocket. You’ve published with Koehler Books and Seventh Street Books. Why have you used two different publishers? What made you choose these two in particular? I’ve been published by Kensington/Zebra, Simon & Schuster/Pocket, Koehler Books, Seventh Street Books, and Stairway Press. Different publishers have different genre interests, so it was really a matter of my agent placing a particular book(s) with a particular publishing house that fit their interests. From what I can tell, these companies are small press, traditional publishing houses. Is that how you would describe them? In other words, they took on all of the publishing responsibilities so you can focus on writing and marketing. Is that a correct assumption? Well, yes and no. Koehler Books is a small press, while Seventh Street Books (publisher of the Mac McClellan Mystery series) is part of the Prometheus group; they’re more mid-sized, and are distributed/marketed in conjunction with Random House. Simon & Schuster is big, while Stairway Press is a small house located in the Seattle, WA area. Obviously, the larger presses can do more than the smaller, but they all assume the expenses of editing, publishing, etc. They don’t charge their authors any money for the publishing process, they pay their authors. Have your books been placed in bookstores by those publishers? Are they available in any other outlets? Who made those choices? Fortunately, I’ve seen all my books in brick and mortar bookstores, at least short-term. 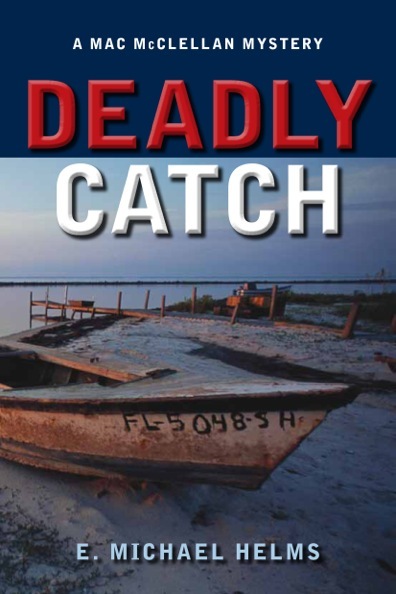 “Deadly Catch” was a Barnes & Noble “Top Ten Mystery Pick” for November 2013. It was satisfying to walk into one of their stores and see a stack of my books face-out on their shelves! I visited a nearby Books-A-Million store about a year ago and saw a couple of copies of “The Proud Bastards” on their shelves. Not bad for a book originally published in 1990. For the vast majority of books (including my own), shelf-life is very limited in physical bookstores. The online stores are where most sales come from. My titles are easily found in all the major online outlets. Would you recommend either of these publishers to other writers? Why or why not — or with what advice? Without hesitation I’d recommend Seventh Street Books to any writer fortunate enough to be signed by them. They are a topnotch mystery/thriller publisher and well-respected in the publishing world. Great distribution, a publicist who works hard for their authors, decent advances, etc. To the contrary, I’ve recently learned that Koehler Books has begun a “cooperative” offshoot for some of their titles where the authors are expected to pay some of the costs of the publishing process. I think this is unfortunate, and could reflect negatively on the authors who are legitimately published by them. They are the only publisher I’ve been involved with that I wouldn’t recommend. Have you done any self-publishing? If so, tell us about that. No, not that I think there’s anything wrong with self-publishing if the author has paid his/her dues by learning the craft. I know of many traditionally published authors who are now turning to self-publishing. I’ve read many well-written works that have been self-published. The problem is, with the technology available today, everyone wants to be an “instant author,” and it shows in the enormous number of poorly written and edited works clogging the book trade pipeline today. There are self-published gems out there for sure, but there are also huge piles of, to put it kindly, less-than-impressive books. 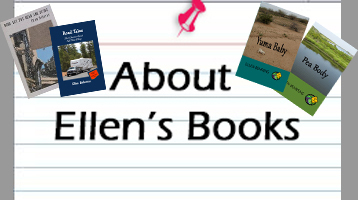 Your books are available in print and e-book format. Is one format selling better than the other? Why do you think that is? Right now it seems my printed books are outselling my e-books. I don’t have the answer to that. A couple of years ago some were proclaiming the death knell for print books, and that e-books would be the biggest thing since sliced bread. That hasn’t happened. One reason might be that the bigger, traditional publishers are keeping their e-book prices inflated. For example, “The Proud Bastards” (Simon & Schuster/Pocket) mass market paperback is selling at Amazon.com for $8.99, while the e-book is priced at $8.00. To me, that’s ridiculous. After the initial setup costs, e-books are basically free to produce; it’s a matter of transferring files. Why such a small price difference? I don’t know. I believe e-reader devices will eventually become more widespread, but I doubt they’ll ever become the overwhelming rage that smart phones are. What do you think are the three most important things you’ve done (or are doing) to help market your books? Why? 1) Digging and scrapping for book reviews (I’m still amazed how many poor quality self-pubbed e-books by relatively unknown authors have amassed hundreds of reviews, while authors with mid-list books from traditional publishers have such paltry numbers by comparison). 2) Social media participation (Twitter, Goodreads, Facebook, Google+, personal website, etc.) Developing a rapport with the reading public is invaluable. 3) Book blog tours and giveaways. Giveaways on sites such as Goodreads can generate a lot of interest in an author’s work; even those who don’t win have seen and read a little about the book. A number of those will wind up buying the book. I recently concluded a blog tour/giveaway that attracted almost four thousand, two-hundred entries. That’s also a lot of exposure. Can you tell us anything about the next Mac McClellan book? What are you working on now? Do you have an expected release date? “Deadly Dunes” is next up for Mac and Kate. Mac is hired by a young woman to investigate whether or not her brother actually committed suicide, or was murdered as she believes. The victim had evidence that a contingent from Spanish explorer Hernando de Soto’s sixteen century expedition in Florida may have traveled to the coast and established a fort on what is now Five-Mile Island. Hours after Mac takes on the case, the young woman dies in a suspicious car accident. Mac digs deep to uncover a tangled web of deceit, betrayal, and murder that all hinges on a planned community development on the island. Hopefully, it will be released this fall. If you could give one piece of advice to a writer working toward publication, what would it be? Read extensively in your chosen genre(s). Pay close attention to punctuation, dialogue, and how stories are structured. All dialogue and scenes should either reveal character or advance the plot. If not, rewrite it or cut it. Use active verbs, and “show” way more than “tell.” Put your characters “on stage” and let them act out the story. Practice the craft, and be persistent. It’s a tough business. Don’t expect to get rich. Strive to leave something worthwhile behind as part of your legacy. 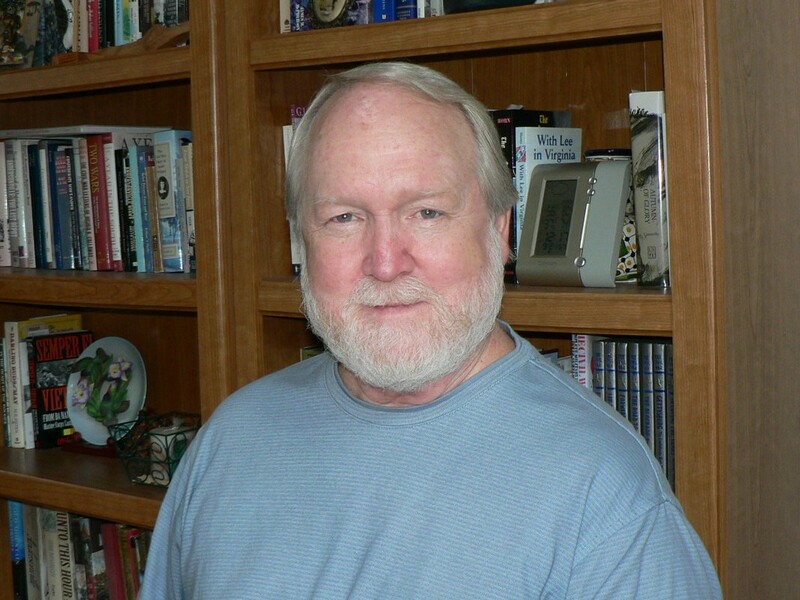 I’m also on Twitter, Linkedin, Goodreads, Google+, Facebook and others, under E. Michael Helms. Thanks for having me! Thank *you* so much, Mike! Previous Post Is a Writing Group a Waste of Your Time?